The body of Lenin will not be leaving its Moscow mausoleum, though many Russians have called for the leader of the Bolshevik Revolution to be reburied. The roof of the mausoleum has reportedly begun to leak, prompting major ongoing renovations. 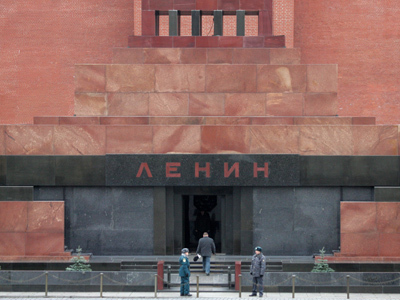 ­Lenin’s mausoleum in the Russian capital was closed to tourists in September. Since then, experts have been investigating the condition of the famed tomb. The examination revealed that some parts of the mausoleum have begun to deteriorate, leading to leaks, Federal Protective Service (FPS) spokesperson Sergey Dyatlov said. The mausoleum has not undergone any major renovations since it was built more than 80 years ago, Dyatlov explained. 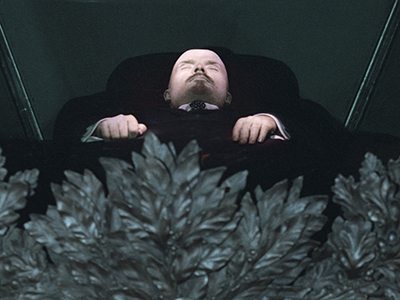 Lenin’s body remained in the mausoleum during the recent examination. Rumors circulated that the remains would be relocated while the repairs took place, but FPS sources confirmed on Monday that the Soviet leader’s body will remain where it is. Russian laboratory established within the mausoleum to care for Lenin’s remains. A majority of the Russian parliament has supported the idea of reburying Lenin, but the country’s Communist Party is fiercely opposed to the notion. 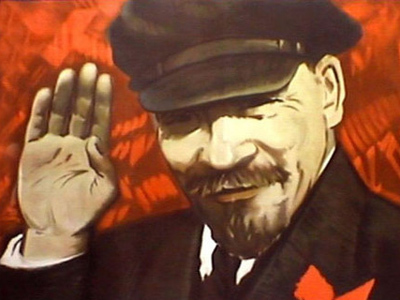 In 2011, the ruling United Russia party established a special website where people could vote for Lenin’s body to be either reburied or kept in the mausoleum. At the outset, a significant majority of voters favored the reburial; the votes are split nearly equally as of today. 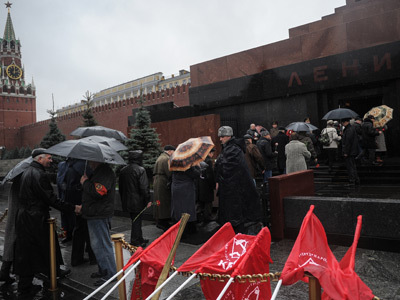 In June of this year, Russian Culture Minister Vladimir Medinsky said that the Bolshevik leader should be laid to rest, while the mausoleum could be turned into Soviet history museum. After Lenin’s died in 1924, his body was embalmed and put on display in a mausoleum beneath Red Square in central Moscow. The tomb was rebuilt in 1929 and 1930, replacing the existing wooden structure. In 1953, the embalmed body of Soviet leader Joseph Stalin was placed in a separate sarcophagus next to Lenin’s. Stalin’s body was removed from the mausoleum in 1961.